Inflate all low pressure inflates quickly and easily with the 12 Volt Air Pump. 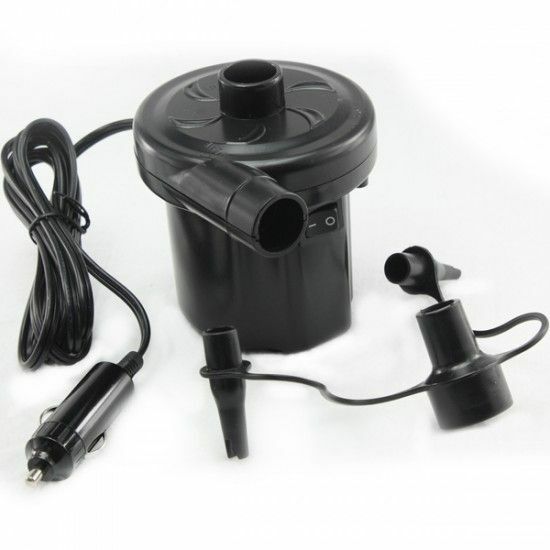 This 12 Volt Air Pump plugs directly into any car cigarette lighter socket. Comes with various valves to fit all low pressure inflatables. It will inflate a double airbed in about a minute. Perfect for travelling, camping, caravaning as you can blow up your airbeds, paddling pools and inflatables from the cars lighter socket. Not suitable for car tyres.